T-ID, KRIA’s highly reliable automatic license plate reading system, is certified by the Italian Ministry of Transportation. T-ID features 100% recognition rate with vehicles speed up to 250 Km/h, plate angle up to 60°, under any light and weather condition. T-ID detects and tracks multiple vehicles visible in the images at the same time. 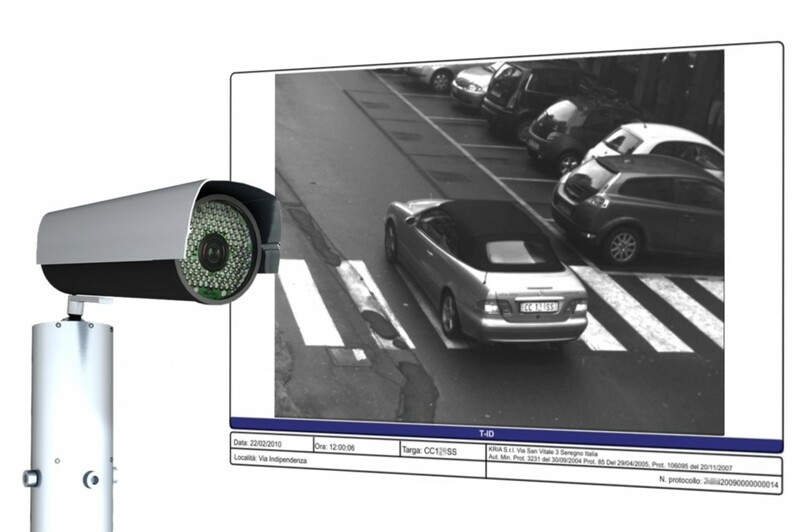 T-ID free running system reads the license plate in every new frame without any external sensor (e.g. laser, magnetic loop). Thanks to its high frequency acquisition and real time processing, T-ID can read the same license platemany times, increasing itsautomatic recognition reliability. T-ID is a scalable system compatible with different cameras, from 1360 horizontal pixels (1-2 lanes) up to 6600 horizontal pixels (6 parallel lanes). Thanks to its lateral installation T-ID is the optimal solution to many applications not only is it suitable for electronic entrances with traffic limitation from one to two lanes but also for city access, section speed, black list alarms, dangerous goods tracking (reading Kemler-ONU code), and motorway toll.